How Can I Make Money in College Without a Job? It’s no secret that college is expensive. However, even after you’ve paid for room and board, books and tuition, there are still a number of bills students need to pay just to get through the week. If this sounds like you, don’t worry. We’re about to show you four non-traditional ways you can make money in college without getting a job. As the name suggests, Fiverr is a marketplace built on the framework of everything costing $5. That might not seem like a lot, but you can quickly build that $5 into $10 and $15 jobs or even more. The great thing about this site is that there are so many different jobs that you can do. It’s completely up to you what the nature of these jobs will be, too, so you don’t have to worry about working an hour just to earn $5. Although it certainly takes some time to dig your heels in and gain traction, Fiverr could quickly become a site you rely on to make money in college and in large amounts. If you have a car, this should be a no-brainer. Driving for Uber means you get to choose your own hours, which is perfect for a busy college student. Uber tends to pay decent money, too. Even if you did get a traditional job, the flexibility of working for Uber would still allow you to make money in college on the side whenever you wanted. Mechanical Turk is a fairly new entry, but it makes the list despite its lack of reputation because it’s a subsidiary of Amazon. The international juggernaut launched MTurk as an online job market. It’s a lot like Fiverr, except there’s an even greater range of jobs. This makes it great for the types of people who may look at Fiverr and think they don’t have a marketable skill set. If you have a pulse, you can find work on MTurk. Now, at first, you’ll literally make pennies for work. This will entail menial tasks like checking on the current price for a specific product in Amazon. However, if you have a specific skill you can use, it’s much easier to jump the line to higher-paying jobs. Even if you don’t have an in-demand skill, keep working and you’ll eventually have the kind of profile on MTurk that employers come to the site to find. Finally, don’t forget about the incredibly marketable skill you’re currently working toward. Whatever you’re majoring in, it can be marketed toward a current job. 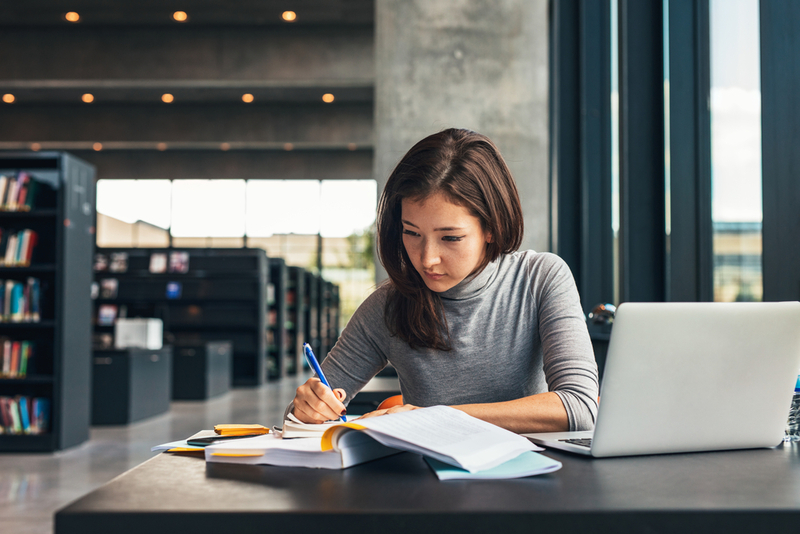 Head to sites like Upwork or Freelancer and you can probably find writing jobs for people who have a high-level understanding of the type of subject you’re studying. Not only can you make money from your major, but some of this work might look nice on your resume, too. While it’s always good to have job, you can make money in college other ways, too, if this isn’t an option. For more help planning for college and/or paying for it, let Mooney Lyons help.